Born 27th August 1918 in Wharfsdale. His medal group includes the 1939-45 Star, Africa Star, Italy Star and War Medal. 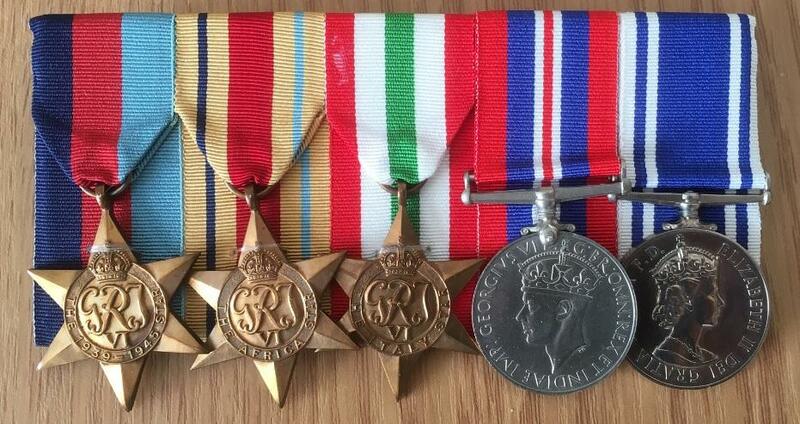 These medals have been court style mounted with his E11R Police Long Service & Good Conduct Medal. I have not been able to ascertain which branch of the Forces he served in or indeed whether he is entitled to these medals. He was married and had two daughters. One of which married a Bobby called Reginald Keith Pickle of West Yorkshire Police. Tragically Reginald was killed on duty in November 1965 when he was crushed by a reversing lorry. The Police Almanac states - No.3 Regional Crime Squad Deputy Co-ordinator Det Supt Walter Young. Covering - Derby, Doncaster, Grimsby, Leeds, Nottingham, Sheffield, Boston,Chesterfield, Mansfield. With Criminal Intelligence Office in Wakefield. 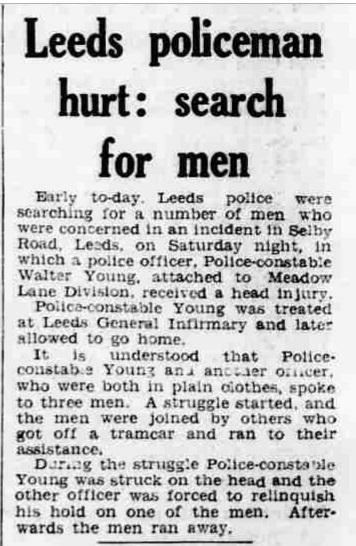 Walter Young joined Leeds Police after the war around 1946, possibly following being demobbed from the forces and retired in 1976. 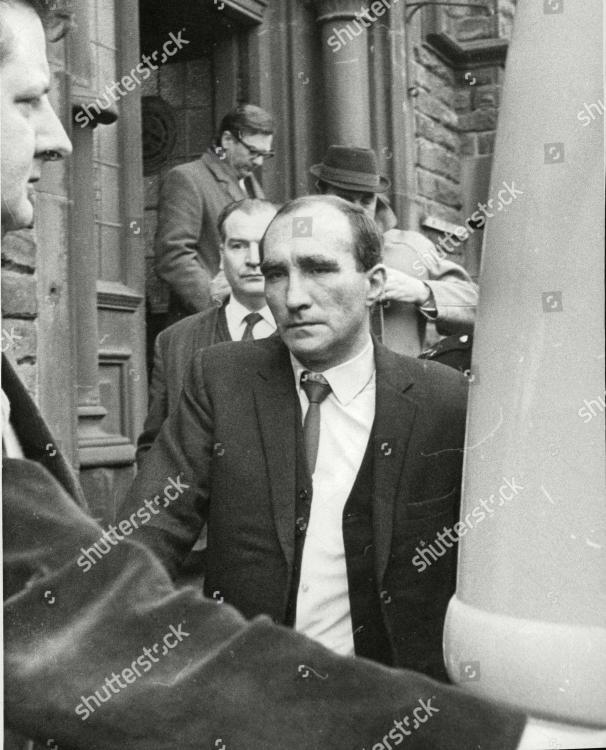 I have been able to confirm that he was a Chief Superintendent of Leeds City Police until amalgamation in 1974, when that force became what was then known as the West Yorkshire Metropolitan Police. In the 1960’s the Leeds Office of the No. 3 District Regional Crime Squad was based on the ground floor of the Leeds City Police Headquarters at Brotherton House, Westgate. In the 1970’s, it moved to the same building as the Traffic Department in Belle Vue Road. People who knew Walter personally described him as a very pleasant chap. In February 1970, Walter was involved in the manhunt for the double murderer Neil Adamson. 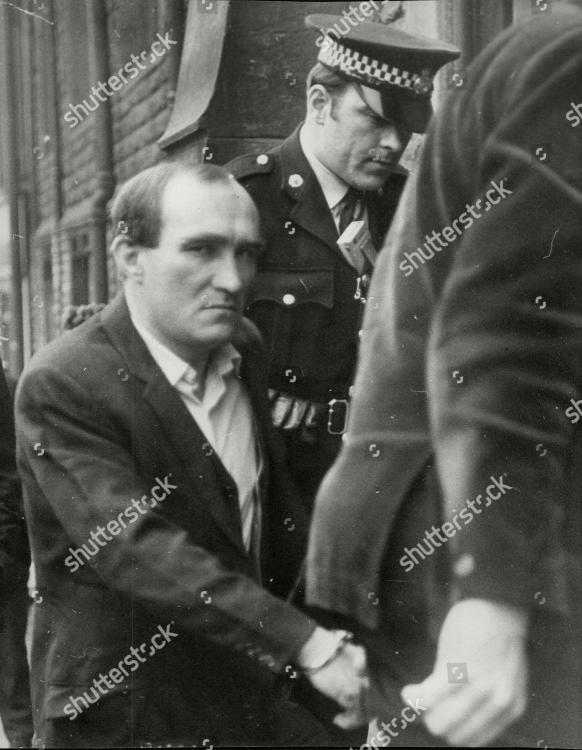 Just after midnight (00:40 hours) on Sunday 15th February 1970, Adamson a known criminal safe blower and thoroughly deplorable excuse for humanity, broken into the Sunny Bank Mills, Farsley. Having triggered the silent alarm (installed as the premises had been targeted on a number of occasions), which sounded in Pudsey Police Station. This prompted an immediate response from several officers. A night watchman was known to patrol the premises as well. 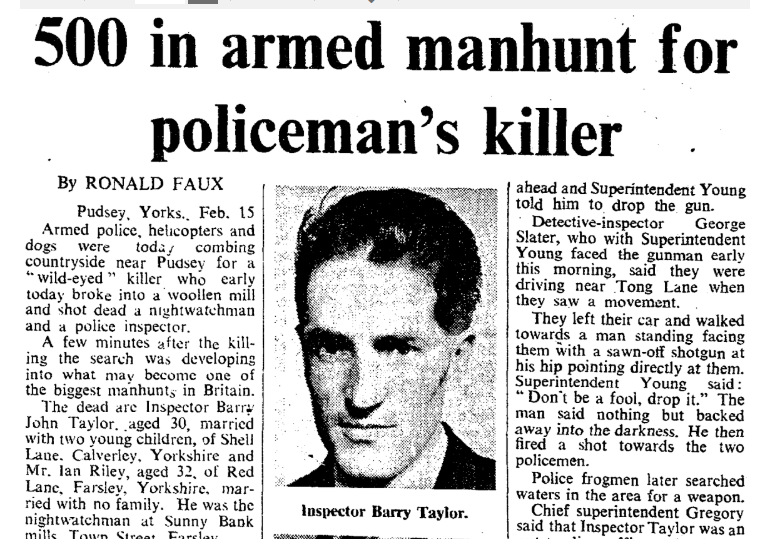 Inspector Barry Taylor aged 31 and married with two young children, arrived on the scene. Unable to gain entry to the premises , requested a Constable try and make contact with the night watchman via phone, whilst he claimed over the main gate. A key holder who also lived within the premises was also alerted and made his way across the Mill yard with his dog. He saw Inspector Barry who appeared to have heard a noise. The Inspector had seen a crouching figure and who was armed with a shotgun. The Inspector ordered the figure to drop the gun and give himself up. The figure then discharged the gun at close range fatally wounding the Inspector and then made good his escape. The key holder and a Constable ran to the Inspector and using the Constables radio attempted to summon help. Unsure whether the message had got through, they went to the night watchman's office to use the phone. On entering the office they were presented with a grizzly sight. The watchman Ian Riley aged 32 was lying dead, having been shot twice once in the body and then executed by being shot a second time in the head. A constable saw Adamson jump over a wall and gave chase but could not get close to him and lost sight of him. In the meantime tremendous police resources had been activated. Given the lack of radios and sheer volume of officers involved in the man hunt, it's intiall co-ordination was chaotic. 500 officers some armed with .303 Lee-Enfield rifles began one of Britain biggest man hunts. Members of public were warned not to approach Adamson. The search area covered over 15 miles. Less than three hours after the shootings, Superintendent Walter Young of the regional crime squad, accompanied by Detective Sergeant Mike Turner and Detective Constable Roger Puckham were searching an area bout 3 miles from the scene on Tong Lane. When a man carrying a sawn-off shotgun, who appeared 30 yards ahead of Supt Young. Young called to the man, "Drop it. You have had it. Don't be a bloody fool". But the man said nothing and backed off into the darkness. He then fired a shot towards Supt Young, before jumping over a wall. D/Sgt Buckham chased after the man. Within minutes 12 police cars were in the area, but the fugitive slipped through the net. The man hunt continued throughout the night and into the next day. At 23:45 hours on Monday the 16th February information was received that Adamson was at an address in Colne Lancashire. Armed police and dog handlers were dispatched to the location and Adamson was seen inside the address. He appeared to be a sleep in a chair. A public address system was used to try and get him to surrender, but he appeared to ignore it. Officers forced entry into the address and arrested Adamson. Luckily he was no longer in possession of the shotgun. 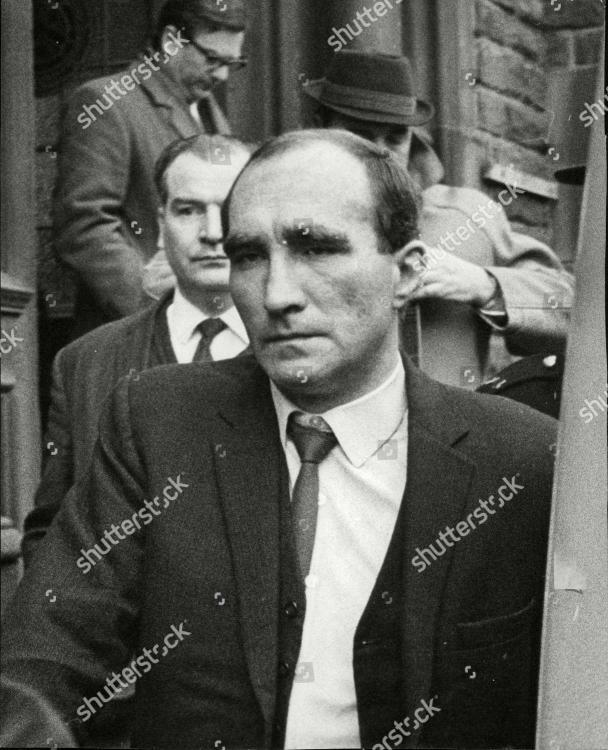 His case was heard at Crown Court and he was found guilty and sentenced to life imprisonment, to serve a minimum of 30 years, he subsequently died in prison in 2000. I have not been able to ascertain an exact date of when Walter retired, but he died in Boston Lincolnshire aged 81 on the 25th June 2000. Sunny Bank Mills Farsley Yorkshire. 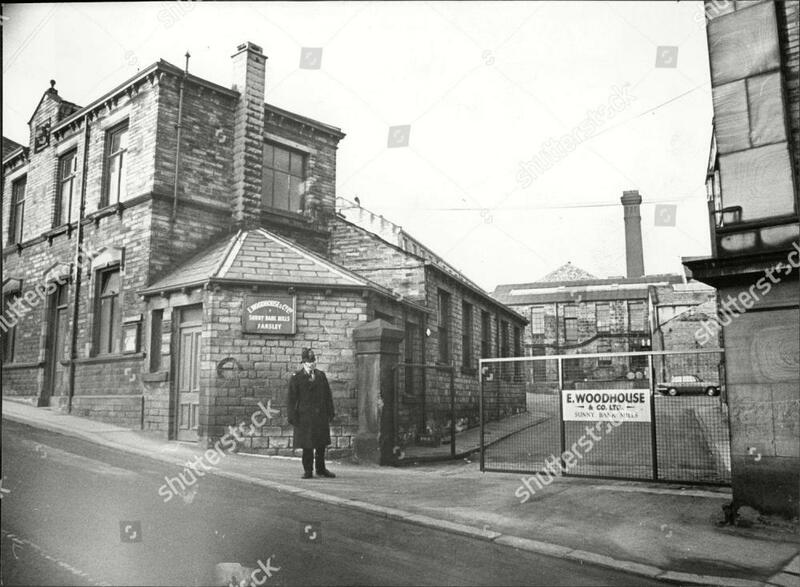 A Policeman Stands Guard Outside The Textile Mill. Deplorable excuse for a human being!!! Have been trying to track down a photograph of this chap. Neither the Bradford Police Museum or the West Mids Police Media Department have one, with I thought was a real shame!! Can anyone else suggest anywhere that might have one? There would probably have been one on his personal file. Whether that still exists, is the question. The other avenue to explore, if you have not done so, is to try to trace any living relatives. They may be able to help.